Recently, the Supreme Court of Florida issued an important decision in a case that centered on construction defect notices. In Altman Contractors, Inc. v. Crum & Forster Specialty Insurance Company, the state’s highest court ruled that Florida’s pre-lawsuit notice and repair process constituted a claim, and thus was required to be recognized by the insurance company. 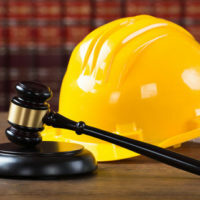 In this post, our experienced West Palm Beach construction litigation lawyers analyze this case and explain the potential implications for construction industry businesses in Florida. Altman Contractors was the lead contractor on a residential high-rise development in Broward County, Florida. For this construction project, Altman Contractors was insured by Crum & Forster. In the Spring of 2012, Altman Contractors was served with 800 different construction defect notices by the project’s owner. Soon after, Altman turned to its insurance company (Crum & Forster) seeking defense and indemnification against the developer’s claims. The issue at stake in this case was whether or not the insurance company actually had a duty to the defend the contractor. Under third-party liability coverage policies, insurance companies have a duty to defend and indemnify the policyholder against qualified legal ‘claims’. When Altman Contractors sought coverage for the construction defect notices, Crum & Forster denied that it had to defend the company, arguing that ‘construction defect notice did not constitute a claim under the terms of its policy’. Upon reviewing the case, the Supreme Court of Florida sided with the construction company. The court noted that the language of the policy in question defined a claim as being a civil proceeding in which damages can be assessed and that the policy explicitly noted that alternative dispute resolution was covered. In the view of the state’s Supreme Court, the Chapter 558 construction defect notice process fits comfortably within that definition. As the insurance policy at question in this case was a relatively standard liability policy, this decision could have important ramifications on future construction defect litigation. The entire purpose of the Chapter 558 defect notice process is to reduce the amount of construction lawsuits by encouraging pre-litigation settlements. As the Supreme Court of Florida ruled that the insurance company in this case had a duty to the defend the contractor once a Chapter 558 defect notice was issued, this means that insurance companies may become more engaged at an early stage in the process. Of course, each case will depend on the specific language included in the liability coverage policy in question. Contractors should always pay very close attention to the language of their specific liability policy. At Pike & Lustig, LLP, our South Florida business law attorneys have deep experience handling construction law issues and construction litigation cases. To get your fully confidential, free case review, please contact our law firm now. With offices in West Palm Beach and Miami, we serve construction law clients throughout Southeastern Florida.